The Malone Online Schools Network provides upper-level students with a variety of superior online courses that enhance our existing curriculum. In our online classroom, our students take classes with expert educators across the country, while our teachers in turn share their expertise with participating schools. We continually search for new and better ways to engage and support our students — to help them reach above their own expectations. The MSON program is one part of that purposeful innovation. In this video learn about the Malone Schools Online Network program. In 2012, Severn was selected as a Malone Family Foundation School, making it today one of only 50 schools in the country and one of only two schools in Maryland to receive this distinction. Founded by John Malone of Colorado in 2000, the Malone Family Foundation has established scholarships for students in grades 7 -12 who are in the top of their class and have the desire and drive to educate themselves to the very best of their ability, but whose families cannot afford the tuition and expenses required by leading independent schools. The Foundation has sought out excellent partners: independent secondary schools with an intense interest in educating the gifted and talented. In 2014, Severn proudly joined the Malone Schools Online Network (MSON), a consortium of 20 schools that have received funding from the Malone Family Foundation in recognition of their interest in and success with educating gifted and talented students. MSON provides upper-level students at registered Malone Schools with a variety of superior online courses offered in an online classroom that would enhance each member school’s existing curriculum. 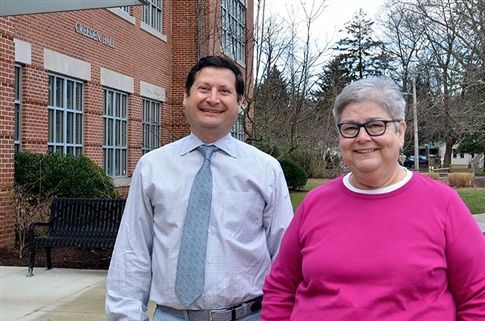 These courses promote the values of the Malone Family Foundation and are taught by teachers from Severn School and other Malone Schools in the Network. These teaching professionals are experts in their fields, have experience with independent school education, and share a commitment to excellence, small class sizes, and personal relationships. Course offerings target the most talented high school students at member schools. These students demonstrate sufficient independence and commitment to succeed in a virtual discussion seminar setting. 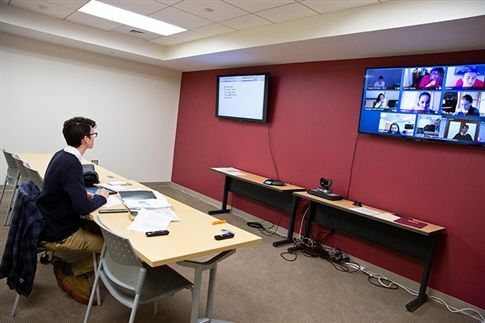 Each course takes a blended approach, combining synchronous instruction, real-time video conferencing seminars, with asynchronous instruction, recorded lectures, and exercises students complete outside of the class. The result is somewhere between a “flipped classroom” and a “virtual Harkness table.” The Harkness table is a large, oval table used in a style of teaching, the Harkness Method, wherein students sit at the table with their teachers. This Socratic method of teaching is meant to encourage classes to be held in a discursive manner. 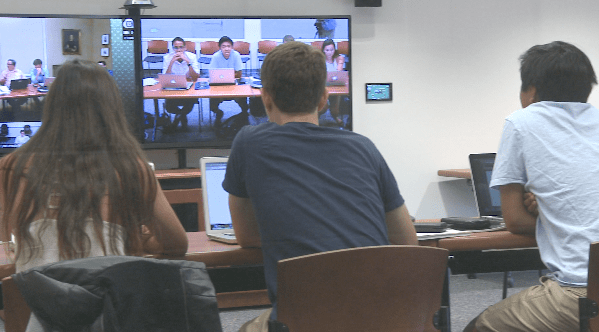 Each course has a minimum of six students and a maximum of 16 students, allowing for a virtual discussion seminar, and is delivered in a high-definition classroom set-up. MSON courses last 15 weeks each semester.